Platinum Pool and Spa Centre stock all major brands of automatic pool cleaners. We are professionals in providing the right information required to help you find the right automatic pool cleaner for your pool. 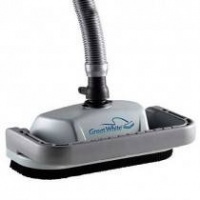 Because there are so many automatic pool cleaners on the market it is hard to find the right one for your pool. There are many factors to consider when pruchasing a new pool cleaner. Don't waste money on the wrong type for your pool, befor you buy a dud give us a call..